LEAN Operations are important, for small businesses. Fortune 500 companies use very technical methods to save $1 because it equates to millions over time. As a small business, that $1 is important for future investments, cash flow, and all kinds of other issues. Let’s increase your bottom line by looking at your actions, how to observe the behaviors on paper, and then remedy the shortcomings with solutions. Critical Path Method (CPM) - The series of tasks that must finish on time for the entire project to finish on schedule. Each task on the critical path is a critical task. • The sequence of activities that represents the longest path through a project, which determines the. shortest possible duration. Operations Costing Analysis - Using CPM or PERT to understand the costing of each step in an operation. Used to understand how much an entire operation costs in overhead and direct cost, and assign tasks according to cost of production. Heuristic Task - the process of gaining knowledge or some desired result by intelligent guesswork rather than by following some pre-established formula. Autonomous Tasking System - When Humans or Technology is assigned tasks without further instruction or intervention by humans or some type of outside decision making. An example of this would be that an employee finishes a task and goes to the list to find the next task to be assigned to ANYONE. Hidden Factory - Activities that reduce the quality or efficiency of a manufacturing operation or business process, but are not initially known to managers or others seeking to improve the process. Six Sigma initiatives focus on identifying "hidden factory" activities in order to eliminate sources of waste and error. Six Sigma - A set of management techniques intended to improve business processes by greatly reducing the probability that an error or defect will occur. LEAN Six Sigma - A methodology that aims to improve operational performance by systematically removing waste and reducing variation. Operational Excellence (Opex)- The execution of the business strategy more consistently and reliably than the competition. The first step is to identify your processes and how they work. Once you identify each process in your business and have an outline of the steps involved, you can begin to standardize and eliminate waste. Operational excellence is how you’re doing a process internally that competes in the market - once you understand that your inefficiencies are not competitive and affect the way your clients perceive your business you can' begin to make operational decisions that compete. Start to delegate tasks that you don’t absolutely need to do, and outsourcing those tasks that your team doesn’t absolutely need to be doing. It’s a great way to eliminate unnecessary burden on you and your team. Identify those task you’re doing that aren’t making money / producing revenue. Why are you doing this task? (If it’s an indirect revenue production like a loss leader, that IS earning revenue). Pursue your best potential clients with purposeful attention to those that are quick to buy versus those that are big payday but take months to close a deal. Each individual process you are evaluating should be “drawn” in the critical path method. This method will identify the tasks within the process that need to be accomplished in a timely manner and those that don’t. It also identifies the order in which steps must be accomplished, called dependencies. When using the critical path method, each task should be indicated with a “Node”. Each node should be placed in the order in which it is accomplished during the process. You can break down your processes in Days or Hours - Depending on the process’ length. you must remember that if a Project get’s handed to another node (physically, digitally, or otherwise) it may be in queue and may not be the primary objective of the employee so that lag time should be calculated. This can be applied to operations, sales, and any other processes you are currently undergoing as a company. Putting the process together in steps. this illustration may be a simple process, but it shows that you have 3 nodes that must happen before the second iteration of nodes. This also identifies a possible bottleneck, if that second iteration can only be done by one worker, or with one machine. This is the mock up of a sales delivery, in other words, the sale has been made and the project manager must deliver the final product. Critical Path are those tasks that absolutely need to happen on time. How Do We Improve the Cost of This Process? Can the Salesperson improve the organization and Standardization of the file so that the Sales Manager, Engineer, and Project Manager do not take so long to review? How can you effectively get the client response time down? Sometimes this is outside of your control, sometimes more frequent contact may assist in speeding the process. After the engineer helps the salesperson create the documents to make the initial bid, does the engineer need to review the documents again? We simply pay more attention to the scheduling of the critical path nodes to ensure they’re completed in a timely manner. This will improve our ability to keep the schedule within the process. 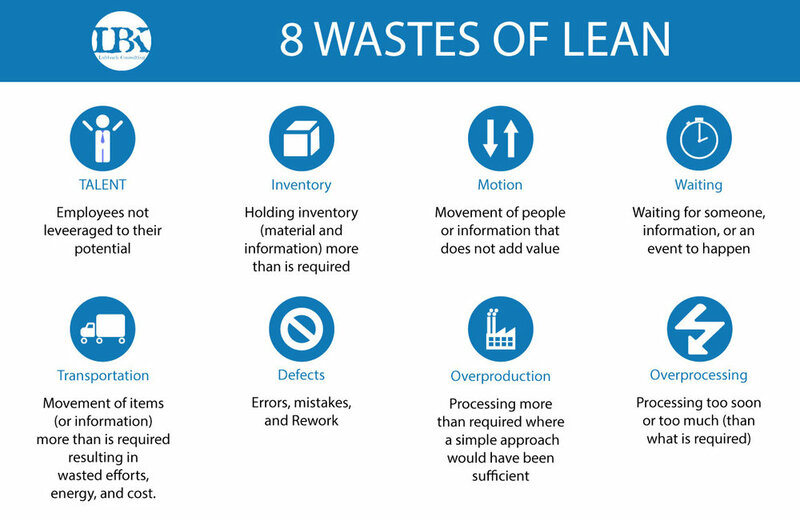 What is Lean Six Sigma and why is it necessary? The basics here of six sigma is that out of 1 million opportunities for error you are aiming for no more than 2 errors. An opportunity is any step that can result in an error. Standardization in the workplace as well as honing each step to acceptable criteria is the only way to decrease the amount of defects that will occur in your company. A cereal box from start to finish may have 100 tasks (for simple math purposes) that need to be accomplished to get it to the grocery store shelf. Making the cereal may have 20 steps from selecting good raw material, to the glazing of a frosted flake properly. Then the packaging weight, packaging glue, shape, box labeling and printing, followed by box cutting, gluing and shape. Manufacturing 10,000 Boxes of Cereal (multiplied by the 100 tasks) results in 1 Million Opportunities for an error. Out of the 10,000 boxes, only 2 will have errors causing the boxes to be deemed unworthy of the shelf. You sell 3 products. Each product your office sells needs to be ordered in a timely fashion. There are 14 different people that fill in blanks on forms along the way. Each employee varies on how many blanks they need to fill in, but the average is 12. Finally the client must sign off on the product before taking delivery (Quality Assurance by the client). There is technically 168 blanks on the forms that need to be filled in, on top of the successful and timely handoff between each of the 14 employees. 182 steps before the client sees the product. Only about 5,900 items need to be sold to reach 1 million opportunities for an error. If you sold that many items in one year, and made one mistake for 1/2 of those products that cost a worker making $12 an hour 30 seconds to fix, then fixed the mistake by re-printing 1 sheet of paper for 3 cents, it comes out to about $678.50 in “rework” per year. What could you spend $678.50 in labor on? So how could you improve this or mitigate the risk? Have clients fill in blanks electronically and automate document production. i.e. if a client is angry at Pizza Hut, any employee has $5 to remedy the situation without involving management - retaining a client by pleasing them, and resolving the issue without elevating it to higher cost employees. Automate and Standardize as much as possible, even with creative projects. You may not be able to standardize EACH step, but possibly each phase, and how each phase is delivered to the next person. i.e. The data in the packet may be different, but each packet contains dividers that indicate what information is where. Every time a packet is handed over to another person Divider A is Warranty Information, Divider B is Operation of the Equipment etc. the Goal here is to eliminate the chance for any of the 8 wastes, standardize operations as much as possible in order to eliminate the ability to make an error, and in return you will see smoother operations with more productivity. Algorithmic tasks are tasks that can be easily guided with a step by step manual. These tasks can be learned by just about anyone and should be automated if possible. An example of an autonomous task is putting lug nuts onto a wheel at a car manufacturer. Each car gets 6 Lug Nuts Per Wheel and every car has the same size of nuts on the same size of bolt. You simply grab the nut and use a tool to screw it onto the bolt. Heuristic Tasks are tasks that cannot be easily guided. They are those tasks that cannot be put together with an algorithm. Think of these as the creative tasks. How do we weigh decisions, office politics and people management. Not everything is cut and dry. An example of a Heuristic Task, is painting a picture. It’s completely up to you, what you paint, what style, what colors, and what medium you use, there’s no algorithm or instructions although there may be “best practices”. What tasks are each of your employees doing? Does it fit their personality? Do you challenge them with heuristic tasks? Is the lowest paid employee doing mainly algorithmic tasks, or heuristic tasks? In all - evaluate what is making you money, what is not. Identify your best customers by looking at who is the quickest to sell to and makes the most money. Ensure you are standardizing anything you can in order to eliminate waste on the operations side, and find those processes that are cyclical and remove them.